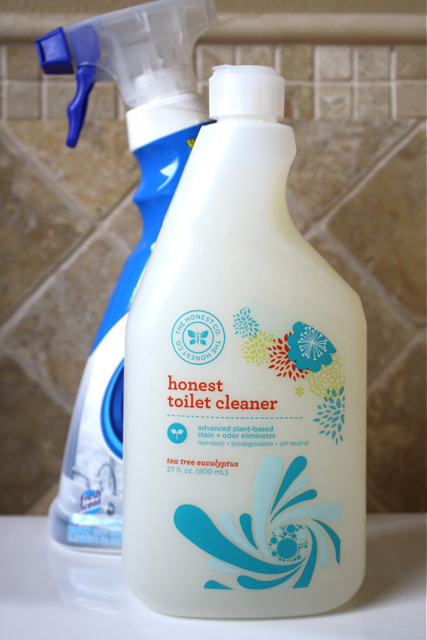 The Honest Company’s eco-friendly products can change the way you clean! 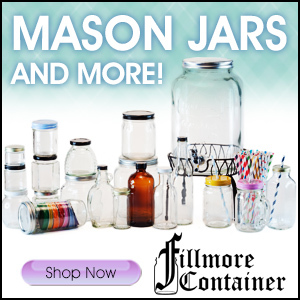 No more yucky chemicals and funny smells… these products are natural! And they are very effective. 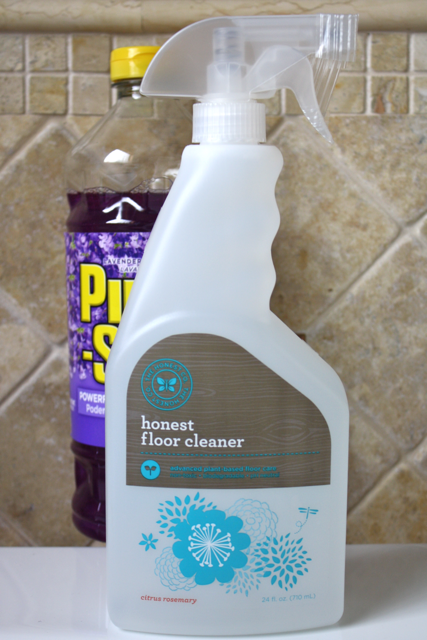 Recently, I got the opportunity to trade out my bathroom cleaning products for products from The Honest Company. I had so much fun (yes I just said that about cleaning) getting to try these amazing products. 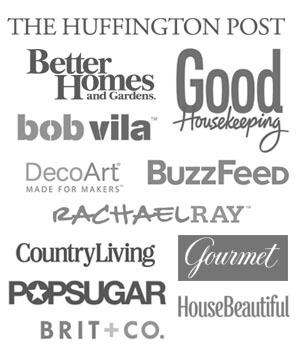 Before I show you the “befores” and “afters” I’d love to share a bit about The Honest Company. 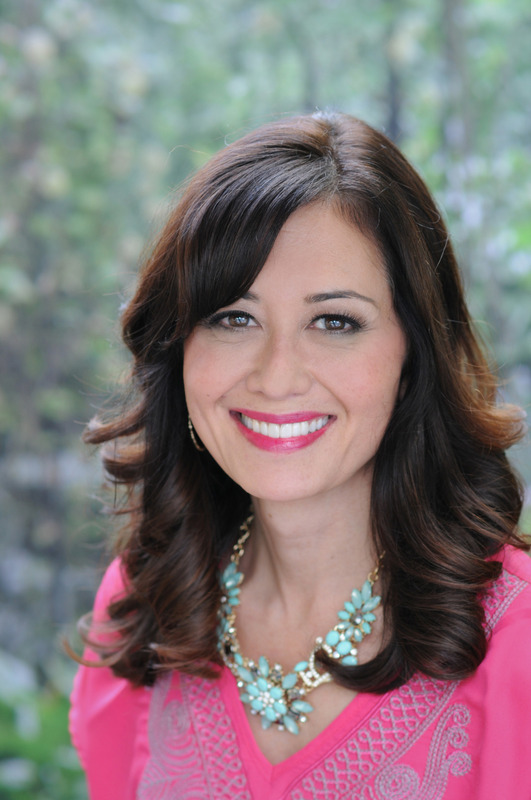 The Honest Company was founded by a mom and a dad who, like many modern parents, were increasingly worried about products made with questionable chemical ingredients. But the alternatives they found were often expensive, inaccessible, bland, or ineffective. In response to this clear need for something better, they created The Honest Company to ensure that parents (or anyone for that matter!) could easily find natural and non-toxic eco-friendly products that are beautiful, effective, and affordable. From customized product bundles to diapers and wipes to an ever-expanding line of cleaning and personal care products, you can find everything you need at Honest.com and have it delivered to you at home– saving your precious time! 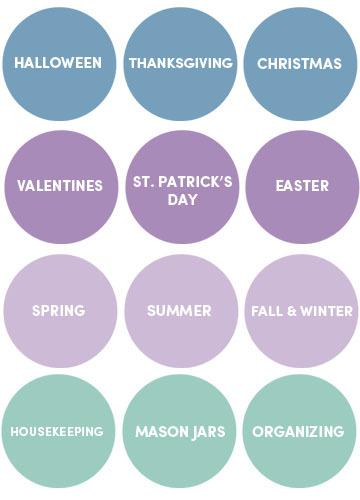 As a a Mom myself, I am always looking for opportunities to cut out chemicals around my home, especially when it comes to cleaning products. If I can use something that is natural and green and get the same or better result than a product with harsh chemicals, I’m in! It’s the best of both words– these products that are safe and sustainable as well as lovely to look at! You can feel good about the company behind the products. Honest is a Certified B Corporation meaning that they are committed to making a profound social difference, keeping the planet (and people) safe and dedicated to being a better business. The Honest Company gives back. With each purchase you make the Honest Company gives time, money and product to their charitable partner Baby2Baby, a non-profit organization that assists families in need with baby gear and clothing for their kids. The goal of The Honest Company is to provide us (their customers) with products they need as well as love. 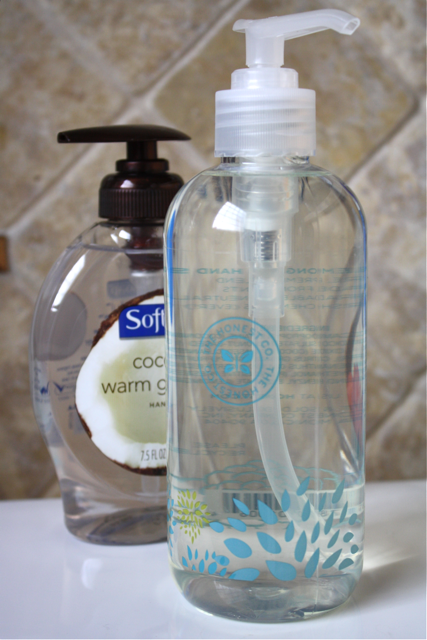 Bottom line– you can feel good about The Honest Company and their products! 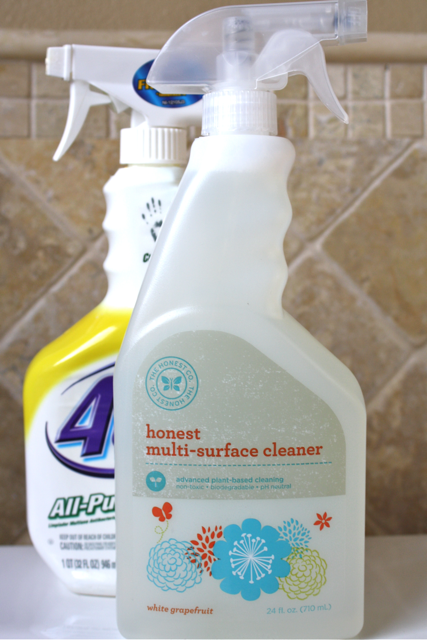 With all this good information, I was excited to switch out traditional cleaning products for The Honest Company’s products. 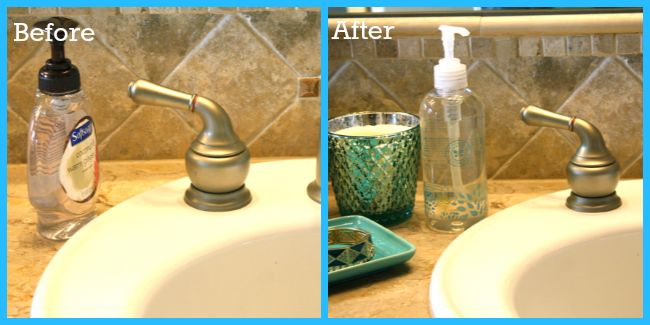 First up– tackling the toilet bowl with the Tea Tree Eucalyptus scented Honest Toilet Cleaner. This shop is part of a social shopper marketing insight campaign with Pollinate Media Group™ and The Honest Company but all my opinions are my own. #pmedia #NaturallyHonest http://cmp.ly/3/8vNxcO. I’ve been trying their products too and I was SHOCKED at how great they smell!!!! I’ll be switching out the products just based on that fact alone :) They work great too! Pamela, I am with you– they smell so good! The products sounds wonderful! I definitely need to give them a try. Love their site and almost wish I had a l little one so I could try out those adorable diapers they showcase on their home page. I know aren’t the diapers adorable? 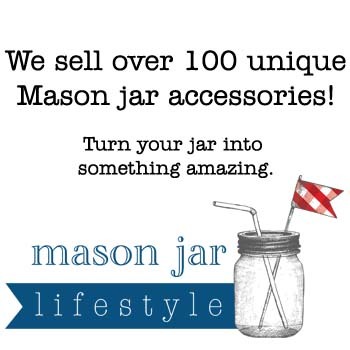 It’s a great company with beautiful design! Tea tree eucalyptus toilet cleaner…SOLD! Love the concept and ideals behind this company. I agree Holly– it’s so refreshing to find a company that is eco-friendly, the products are effective and they smell divine! 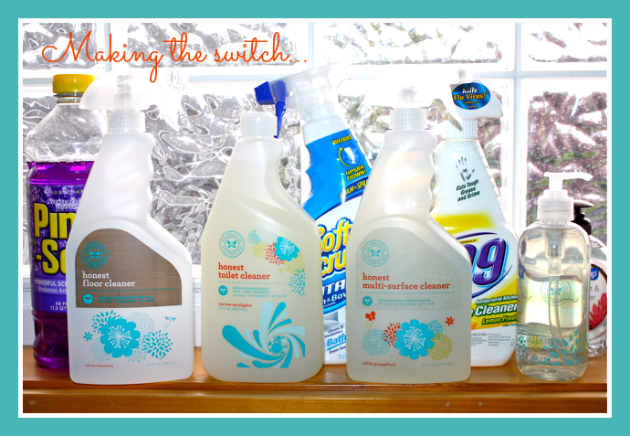 I love all natural cleaning products! 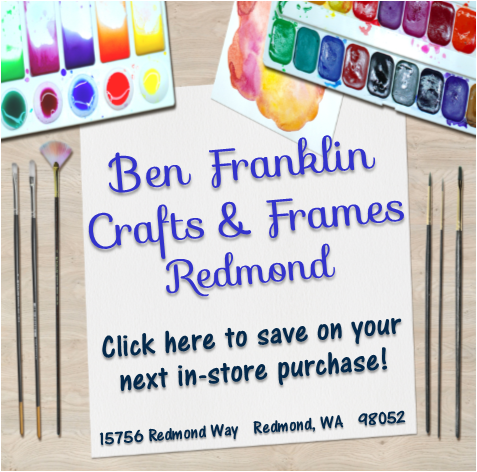 I’ve heard about this company and I’ve been very interested in learning more about it. Thanks for sharing! Looks like it works great, Malia!! I really dislike the strong chemical smell left in the bathroom after cleaning. It gives me a headache! Not to mention the smell lingers so people who come over know you just scrubbed everything down. ;) I’ll have to give the Honest Company a try! I know Michele… I dislike chemical scents and these products smell so fresh and clean! Thanks so much for stopping by! I’ve been hearing so much about these products lately and I’m intrigued. I love the packaging!